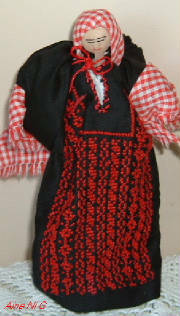 These three dolls were handmade by girls at the center in Aqabet Jaber Camp for Palestinian refugees. 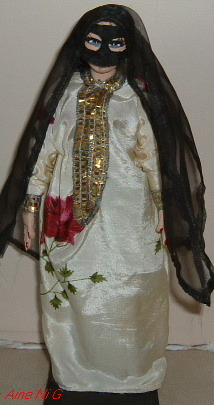 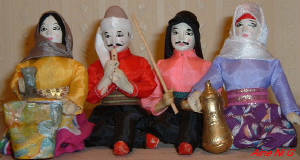 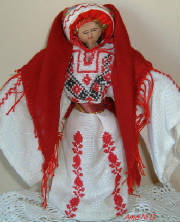 These dolls represent Jericho, Ramallah and Bethany. 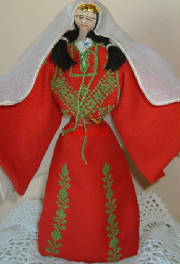 They are 6" high, faces are made from nylon stockings with embroidered features, a little bit crude, but the clothes are made of good quality cloth and with lots of embroidery work.